Today’s post was written by Ryan Fuller, general manager of Workplace Analytics. Microsoft Workplace Analytics—a powerful new organizational analytics solution—is now generally available as an add-on to any Office 365 enterprise plan. Organization level collaboration insights in Workplace Analytics. A sales organization in a Fortune 500 company used Workplace Analytics to identify the collaborative patterns of top performers and then scaled those behaviors to the broader sales organization—resulting in a significant increase in sales. Some of these insights were expected, like the amount of time spent with customers. But others were new, like the size of the person’s internal network, which may be an indicator of the salesperson’s ability to get answers and solve customer questions. 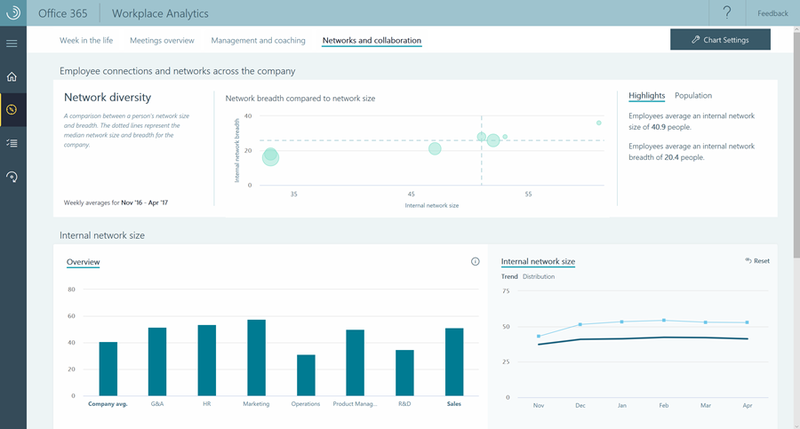 Exploring internal network size metrics for the sales organization in Workplace Analytics. Freddie Mac used Workplace Analytics to drive a cultural change with managers. In looking at how time-usage metrics are related to engagement and retention, they found that the behaviors of managers were pivotal in determining employee engagement and retention. Behaviors, such as 1:1 manager time, level of leadership exposure given to employees and the degree to which work can be distributed evenly across an organization, are measurable through Workplace Analytics. The collaboration insights from Workplace Analytics were used by an organization to partner with its commercial real estate company, CBRE, to do space planning. They analyzed the metadata attached to employee calendar items to calculate the travel time associated with meetings. They found that as a result of the relocation, each employee reduced their travel time to meetings by 46 percent—resulting in a combined total of 100 hours saved per week across all 1,200 employees involved in the move. Every organization has unique business questions, which is why we’ve included the ability to create custom queries directly within Workplace Analytics. Data analysts can choose from a unique set of collaboration metrics to explore activities and trends within the business, including time spent in email, time in meetings, after-hours time and network size. Analysts can also create custom queries and filter to aggregated population subsets including regions, roles and functions. 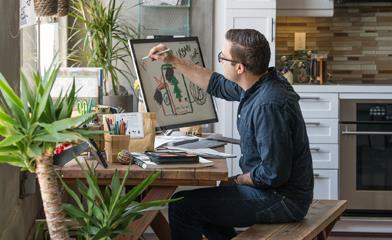 Workplace Analytics is available now as an add-on to any Office 365 enterprise plan. Learn more about how enterprise customers can access organizational insights from Workplace Analytics in Office 365.